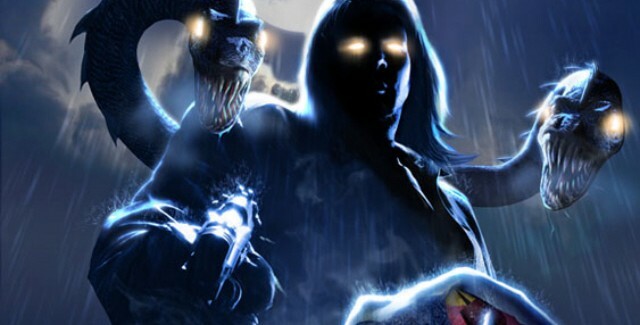 Okay, so the Swiss Christian Police Association is trying to get The Darkness II banned because it will be possible, within the context of playing mob assassin and demonically-possessed protagonist Jackie Estacado, to shoot police officers. Okay, first of all, let’s not forget, that within the context of fictional setting of the Darkness, institutions and businesses are always corrupt, people are generally crapped on and stomped on by those in power, nobody is happy, and heaven and hell are actually out to get us. It is such a crapsack world, need we remind you, that a slimy, murderous douchebag like Jackie Estacado can conceivably be a good guy (it helps when he spends most of his time fighting mobsters, demons and angels anyways). Context matters rather enormously in fictional settings. That’s one of the structural benefits of fiction. Second of all, haven’t we had enough of the idea that a particular creative genre or medium will magically inspire uncharacteristic behavior in adults and teenagers? The police organization isn’t calling for a widespread banning of movies, literature, music, and news reports, after all. There has yet to be a single solitary study demonstrating the kind of behavioral development that this organization is supposedly trying to combat. Finally, and this one is more of a personal thing, the idea that the police, by virtue of being police, cannot be ever portrayed negatively in media just sits badly with me. I absolutely concede that on an abstract level, a free society needs to respect those who take up the calling to protect them. However, I would add that those who would take up that calling need to return that respect to be worthy of it themselves. I suspect rather strongly that before the riots started, the peaceful protesters who have no doubt long fled the area didn’t particularly want to be portrayed as the enemy, either. Switzerland is notable in how relatively affluent and crime-free the entire country is; it simply doesn’t have the kind of turbulent social history that Britain, for better or for worse, has experienced in the last 60 years. The Swiss have a different social relationship with their police than the British do, and to suggest that the Swiss game industry needs to bow to the Swiss police’s interpretation of the London riots is more than a little grotesque. ← Isn’t it Time for This: Webcam-Converted In-Game Avatars?